A chiropracti justment is a specific, hands-on treatment that works to restore proper positioning and movement of a joint. These joints can be of the spine or any other region of the body, including the wrists and ankles. Sometimes joints become fixated (stuck) or misaligned and need to be freed to restore motion and proper position. Some of the factors that contribute to a joint becoming fixated or misaligned can be postural abnormalities (made worse by gravity), injuries, muscular imbalances, muscle spasms, inflammation, connective tissue adhesions (connective fibers around the joint sticking to themselves due to lack of proper motion), birth (mother and baby), pregnancy, and more. Once a joint stops moving properly, it becomes inflamed due to increased stress on the surrounding structures. When this happens, the muscles around the joint tighten up in an attempt to lock down the joint and limit its motion. This causes muscle spasms and pain in the surrounding area and potentially other areas as well. The body attempts to force other joints to move abnormally to take pressure off the stressed area (e.g. limping). 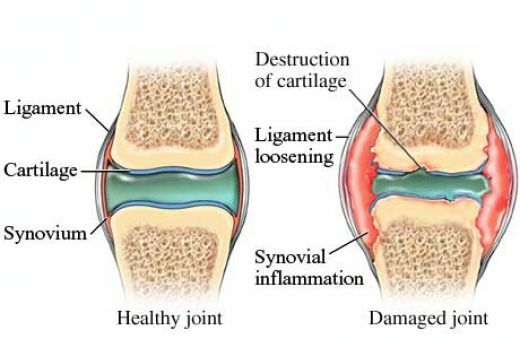 If this process of fixation, abnormal movement, and inflammation continues, it can cause early degenerative changes in the joint which leads to a quicker progression of arthritis. The chiropractic adjustment is administered in order to restore motion and proper alignment, reduce pain/inflammation/muscle spasm, and prevent early arthritis. Another complication of spinal joint dysfunction is impaired nerve function. When a spinal joint becomes inflamed, inflammatory chemicals can attack the nerve and cause neuropathy. A dysfunctional spine therefore has the potential to cause a wide variety of problems throughout the nervous system. An important facet of understanding the human body is considering the interactive relationship between the nervous system and homeostasis. Homeostasis is the process that maintains a stable and balanced environment in the body. Biological systems maintain relatively constant conditions in the body's internal environment while continuously interacting with and adapting to changes originating within or without the various systems. The nervous system maintains homeostasis by sending electrochemical signals throughout the body, coordinating and executing both voluntary and involuntary processes in order to maintain homeostasis. This relationship shows that proper nerve function is vital to the overall health of the body. Nerves control every aspect of the body, including muscle action, thought, touch/pain sensation, organ function, immune function, etc. Though not all nerve dysfunction is severe, correction of even minor nerve dysfunction through chiropractic adjustments helps to optimize the body’s performance and helps you to maintain good overall health. Our doctors are trained in several techniques that are both safe and effective in correcting spinal dysfunction and joint pain WITHOUT twisting or turning of the neck or back. Our doctors utilize a combination of NUCCA upper cervical technique, gentle, non-rotational, full spine Thompson Adjusting techniques, extremity adjustment techniques for non-spinal joints, and Pettibon postural correction rehabilitation. All of these methods ultimately help to alleviate pain and restore proper body function.